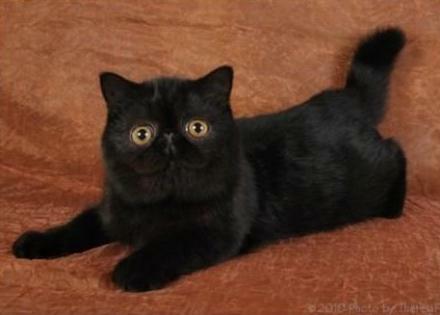 The Exotic Shorthair Cat happened quite by accident, and what a glorious 'accident' it was! 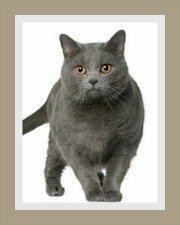 To introduce the stunning green eyes and silver coat of the Chinchilla into the American Shorthair bloodlines. To improve the American Shorthair body-type, by making it a heavier more robust cat. 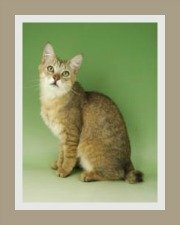 The result of these matings, did not achieve what the American Shorthair Cat Breeders had originally set out to achieve. Whilst the coat-type was achieved, the body-type and certainly the face shape and type were far from ideal. Despite this, the offspring of these domestic cats were very handsome. The Persian and American Shorthair cat breeders were, to say the least, not happy with what they called an 'illicit' crossbreeding program. 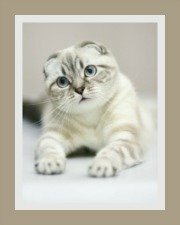 In the 1960's it was agreed that the offspring of the breeding program should be recognized as a separate breed and thus came about the Exotic Shorthair cat breed. We have heard some people refer to the breed as the Exotic Persian cat. Over the years, breeders utilized a number of breeds to further develop the Exotic. 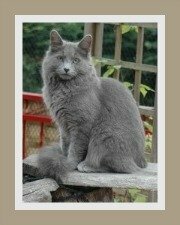 The Russian Blue cat and Burmese cat were commonly used. 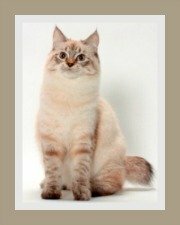 The intention of the breeding program was to eventually align the breed standard of the Exotic with the Persian Cat breed standard and breeders were careful not to introduce any Oriental-type bloodlines. 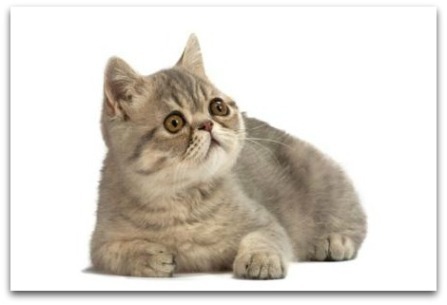 During the 1970's the Exotic Shorthair breed standard was amended. Today, the breed standard corresponds with the Persian cat breed standard in every way except for coat length. The Exotic is considered a shorthaired Persian cat. Since 1987, the only allowable outcross is the Persian. Russian Blue cats and Burmese cats are no longer permitted. Interestingly, a mating between two Exotics does occasionally produce longhaired kittens. Some Cat registries class these offspring as Persians, whilst others deem them to be pets. The CFA refer to them as Longhaired Exotics whilst FiFe call them Persians. The GCCF in the United Kingdom, do in fact class the Exotic with the Persian Longhair. These 'exotic cat breeds' have become exceptionally popular - in some instances, at the expense of the Persian cat. 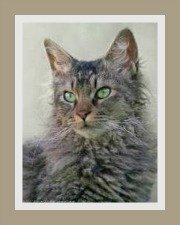 They are fairly common in the United States and the United Kingdom and are slowly conquering the hearts of breeders and cat lovers in Europe and around the world. The Exotic cat, affectionately called the 'teddy bear' cat is considered one of the top 10 most popular cat breeds. L’Exquisite Absolut, black Exotic male, owned and bred by Brenda Neukircher.